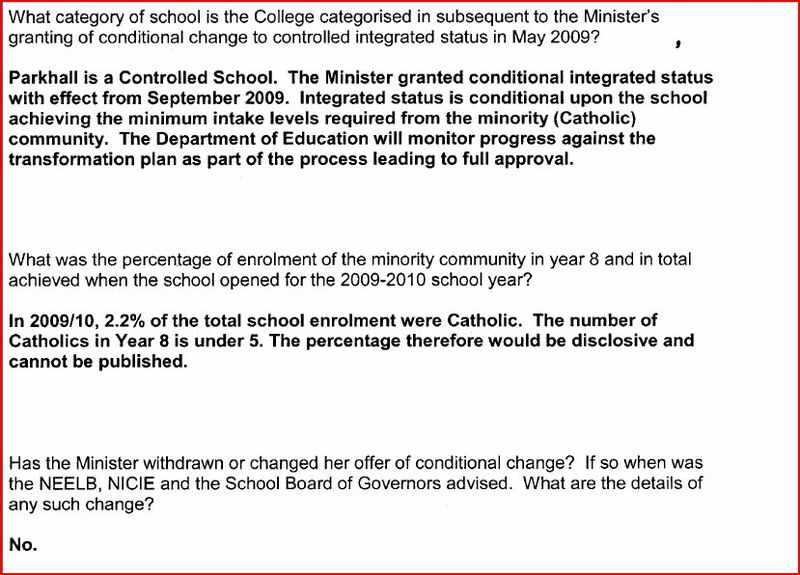 The Minister of Education, Caitriona Ruane granted conditional approval in May 2009 for the development proposal of the NEELB to transform Parkhall College in Antrim. 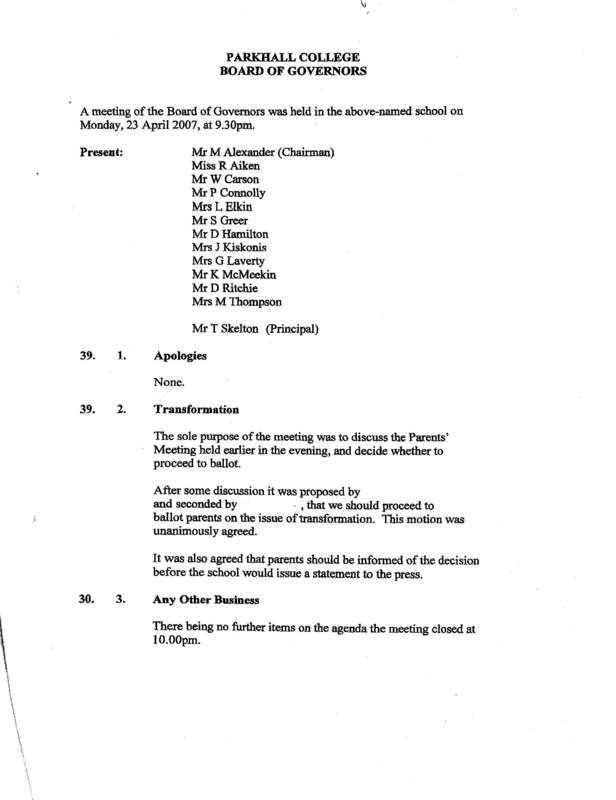 The Board of Governors of the school had conducted an unprecedented FOUR ballots of parents in order to eventually obtain the necessary condition. 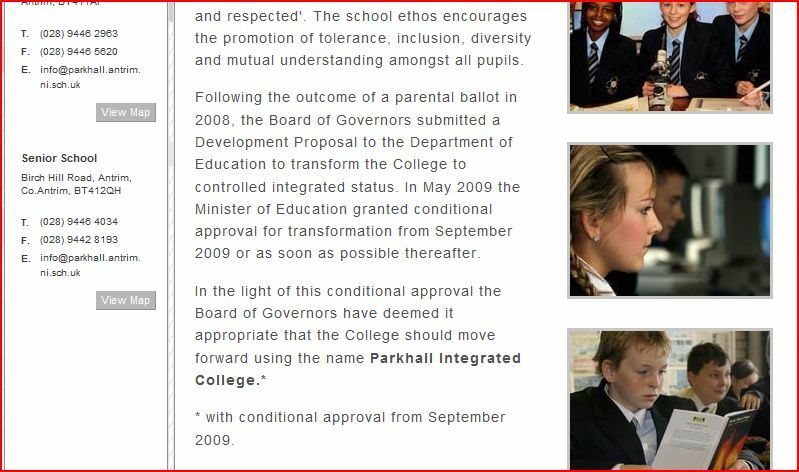 Despite the inability of the NEELB,NICIE and the Board of Governors of Parkhall to attract pupils from the Catholic community contrary to their claims of parental demand the Board of Governors of Parkhall have changed the name of the school. 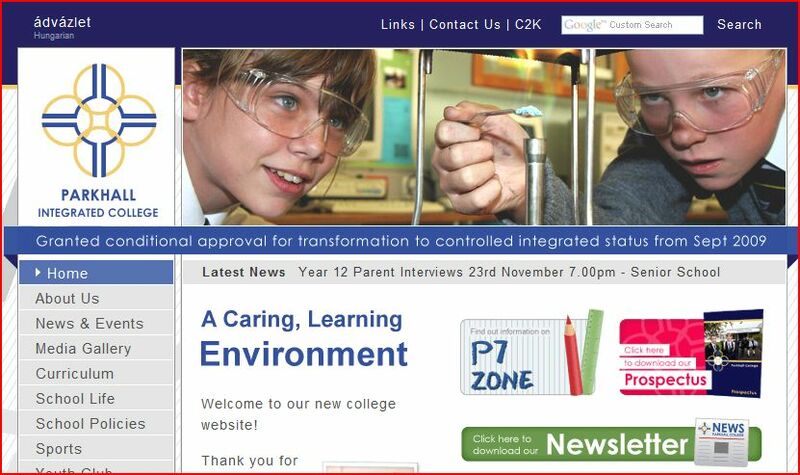 No mention of the Board of Governors on this website. 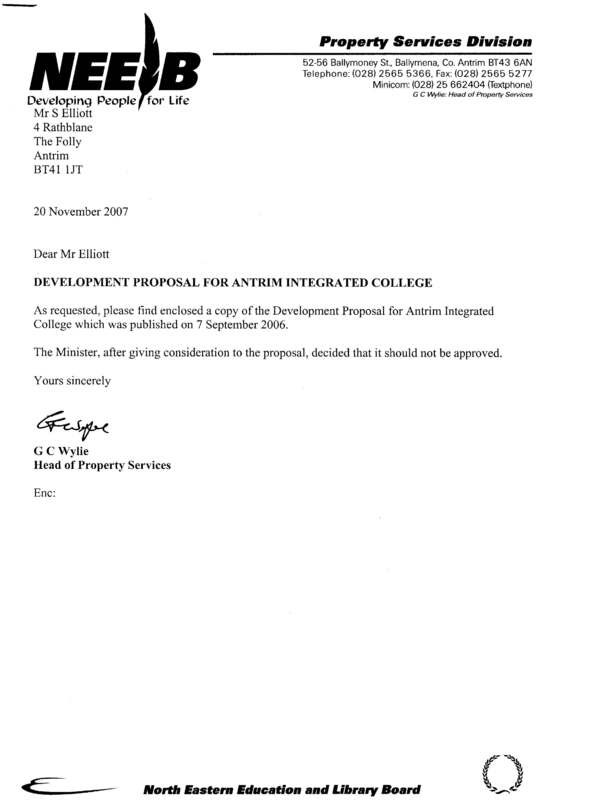 The Parental Alliance for Choice in Education sought under FOI a copy of any development proposal for a grant maintained integrated college in the Antrim area in November 2007. 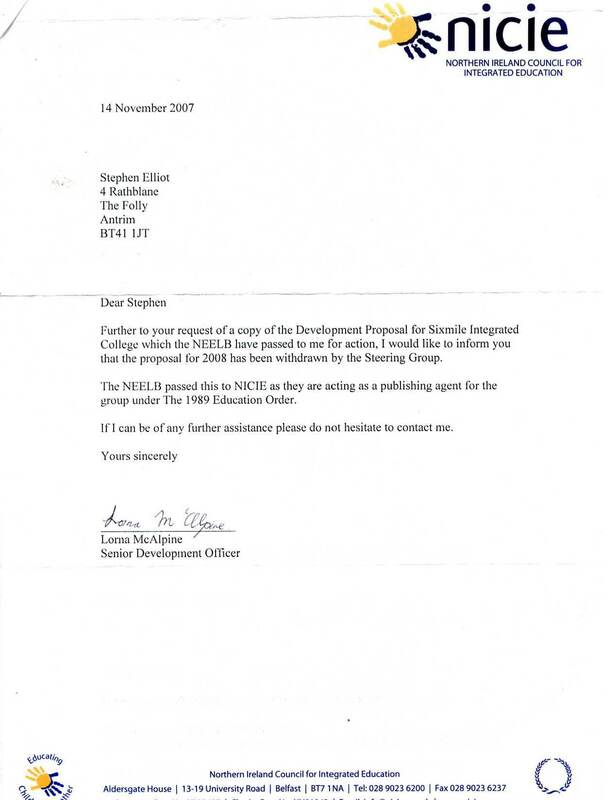 NICIE, the Northern Ireland Council for Integrated Education were acting as publishing agent for the Antrim Integrated College Limited but claimed in their reply that the proposal had been withdrawn. No copy of any development proposal of any kind.was supplied by NICIE. Note the date of the correspondence. 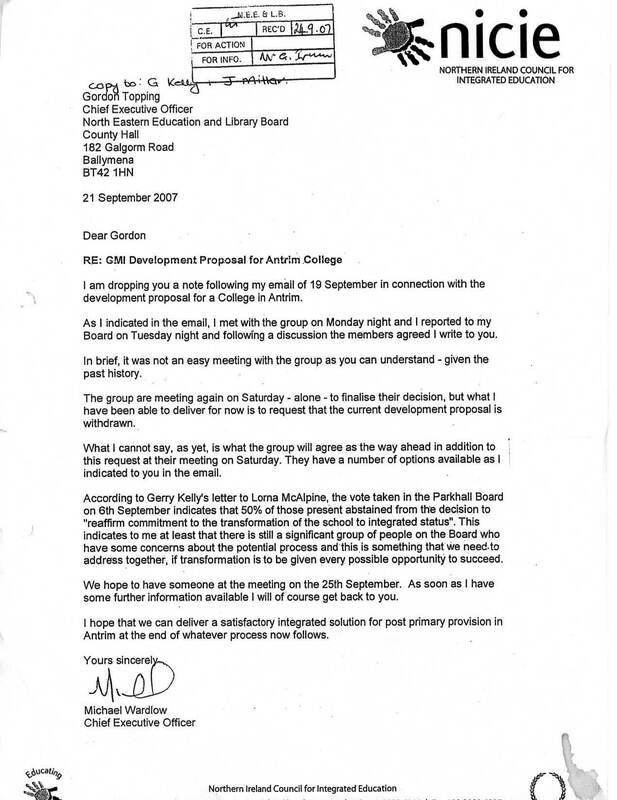 On 20th November 2007 PACE received the following letter from the Head of Property Services, NEELB.